This weekend we had the pleasure of attending Epcot’s Flower and Garden Festival for the first time. From a person who is trying to become more green in the garden it was quite nice to see what they have done. They used tire scraps as mulch throughout the park, integrated recycled art into their displays, and had very informative booths that promoted the environment. One such booth was from the National Honey Board. My son was playing on the playground at the time so I took the opportunity to see what they were talking about. To my surprise the gentleman working the booth started talking about the environment. I was absolutely amazed at the things he was talking about. Did you know that honey has antimicrobial properties? And that adding honey to your food works as a natural food preservative? That adding it to a bread recipe will help to prevent mold growth. And that honey has great antioxident qualities as well. It’s more sweeter than sugar. So how is it environmentally friendly? 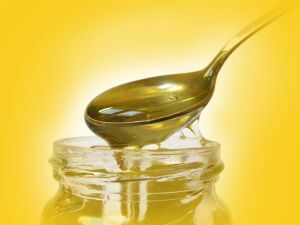 Most recipes call for sugar to be melted to make a syrup and honey is already in a liquid form; thus less heating required. He kept on telling me more but I can’t remember it all. All I can say is that I learned alot and will be using honey more often in the kitchen. But it’s not only good in the kitchen; what about for spa treatments or health treatments. Honey is a good cough suppresent and it’s antioxidant characteristics make it great for those homemade spa treatments. Did you know that honey could even be used to treat cuts and scrapes? Or to treat some bacterial infections? Check out the National Honey Board’s Industry links for some useful recipes, tips, and tricks. Just One! Save Energy With Telecommuting Wal-Mart Going Green Fuel Economy, Alternative Fuels and Light Bulbs!!! Are You Cold?